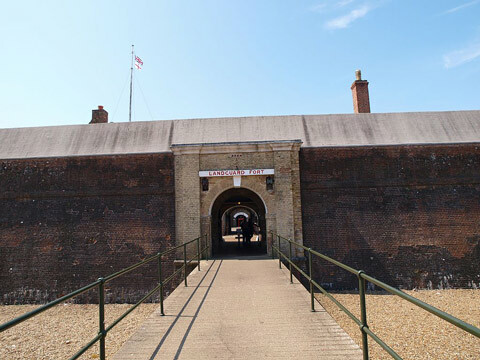 It was built in 1718 on Landguard Point to protect the port of Harwich near the site of 1540's fortifications which is the site of the last opposed invasion of England in 1667 and the first land battle of the Royal Marines . 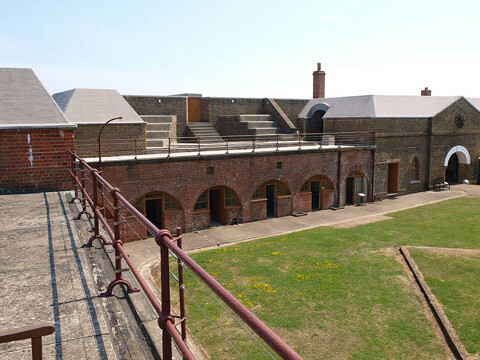 It was later given support by the building of Harwich Redoubt in the early 19th century. 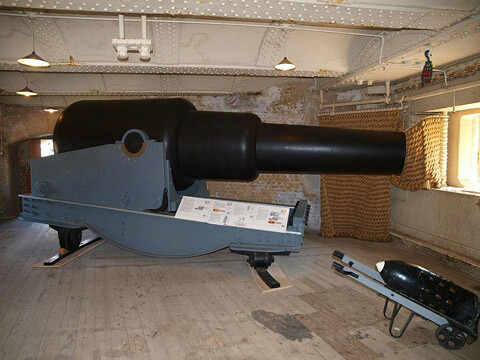 During the 1870's it was enlarged and strengthened as part of Palmerstones programme to protect the major sea ports and armed with five 10 inch and five 12.5 inch guns. 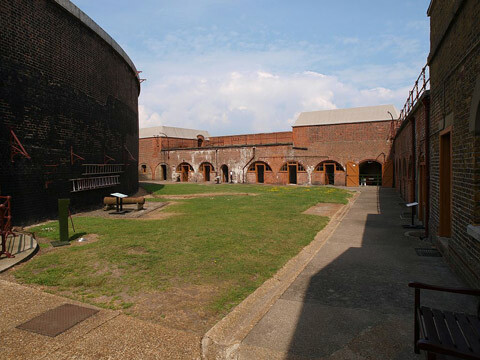 Substantial additional outside batteries were also added in the 19th & 20th centuries. 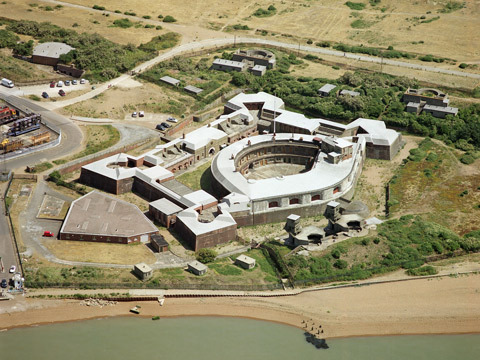 The nearby submarine mining building houses Felixstowe museum's collections of local interest. 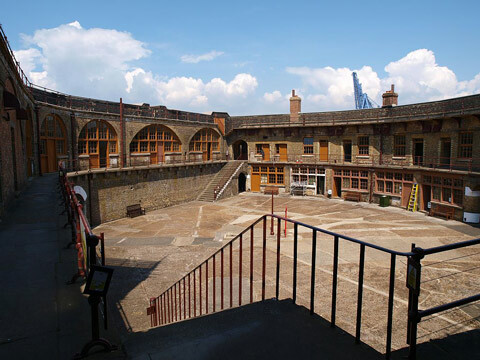 The fort is now run by the Landguard Fort Trust and is open all day, every day April to October, 10a.m. to 5p.m.